Advanced -IV-lV+ rafting on the Arkansas River! This stretch of river contains some of Colorado’s most exciting whitewater! With some soaking splashes, a few medium-sized drops and nearly non-stop action, you will want to be in good physical condition and be a good swimmer. Enjoy amazing views of the impressive, snow-capped Collegiate Peaks while resting between long rapids. 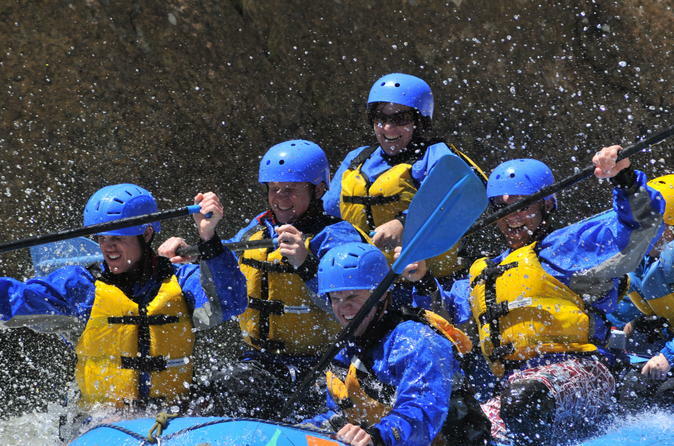 Perfect for the whitewater veterans and adrenaline-seeking first timers! This Trip includes our Ultimate Fajita Feast hot lunch! Situated in the heart of the Colorado Rocky Mountains, the Arkansas River threads its way through a vacationer's paradise. From the river's source in the beautiful Arkansas Valley with dramatic 14,000 foot peaks to the bottom of the Royal Gorge, the Arkansas has it all. This trip includes 6 hours of clear, crisp water crashing through the Granite Gorge, a river guide and all boating equipment: rain gear, drinking water and personal floatation device. Lunch is also provided on this full day adventure. 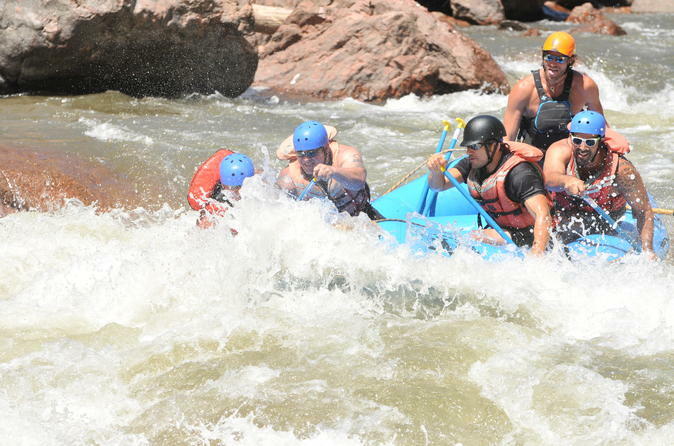 Come enjoy a unique Colorado white water rafting and dining experience. 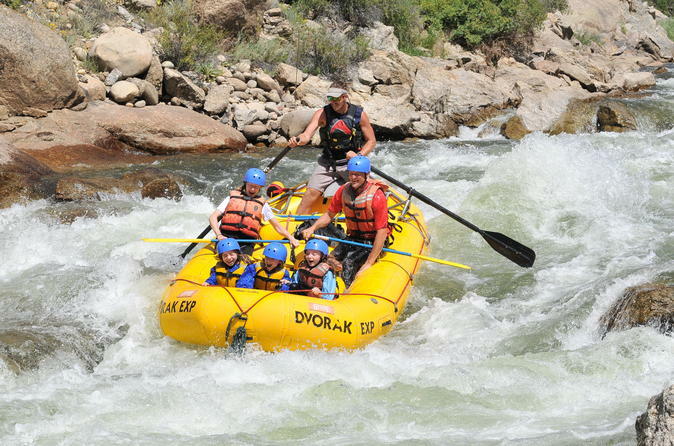 Ideal for families with young children and groups looking for mild white water rafting in Colorado with a delicious ending. Float from our office for about 1.5 hours to the Riverside Bar and Grill where you can relax over dinner with your family and friends. Included in the trip cost per person are river shoe rentals and a meal voucher that generally covers an entree and drink. 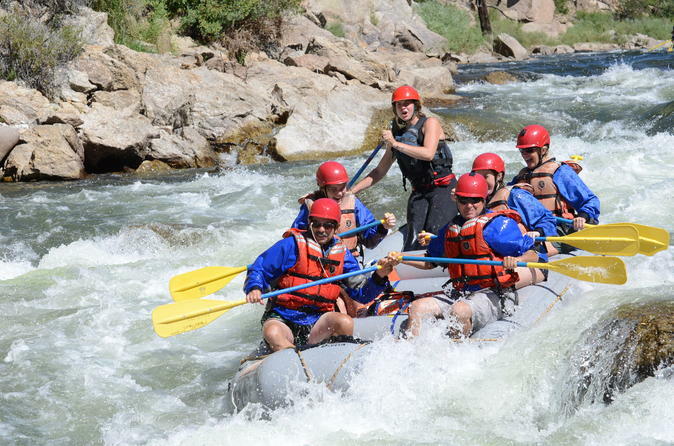 Colorado's most popular whitewater rafting trip trough Brown's Canyon National Monument. 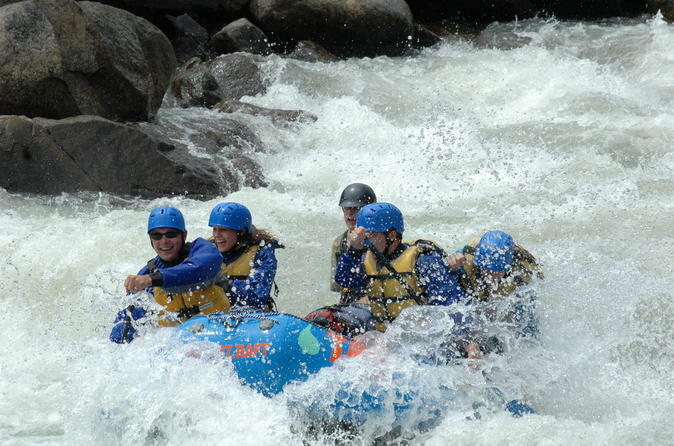 Enjoy spectacular scenery and thrilling whitewater on this professionally guided river trip. 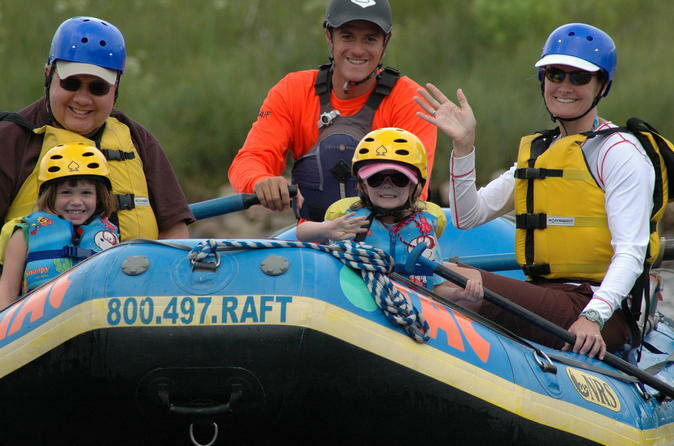 A wonderful family friendly white water rafting trip in Colorado! Splash, swim, and take in the stunning views while a professional river guide rows you down the river without the interruption of paddling (unless of course, you want to paddle)! Enjoy bouncy wave trains, man made white water park, and wildlife sightings on this calm and picturesque section suitable for children as young as 4. Expert V Rafting on the Arkansas River! This trip contains the most challenging whitewater on the Arkansas River. Narrow, fast, and technical, the river drops nearly 200 feet over its steepest mile! Previous rafting experience is highly recommended and good physical condition is required. This trip includes our Ultimate Fajita Feast hot lunch on the river! 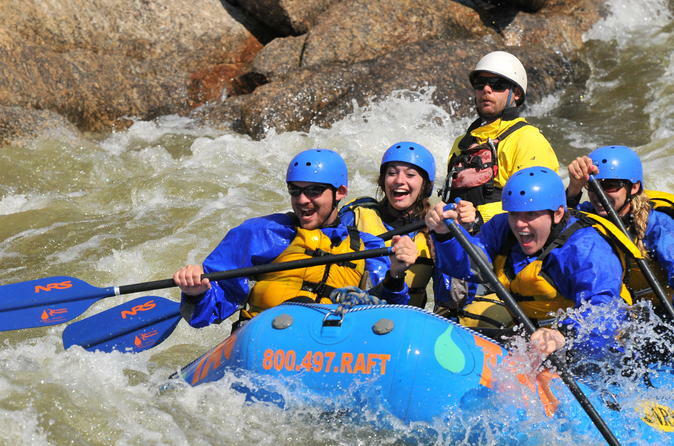 This half-day excursion takes you down an exhilarating class IV section of the Arkansas River. 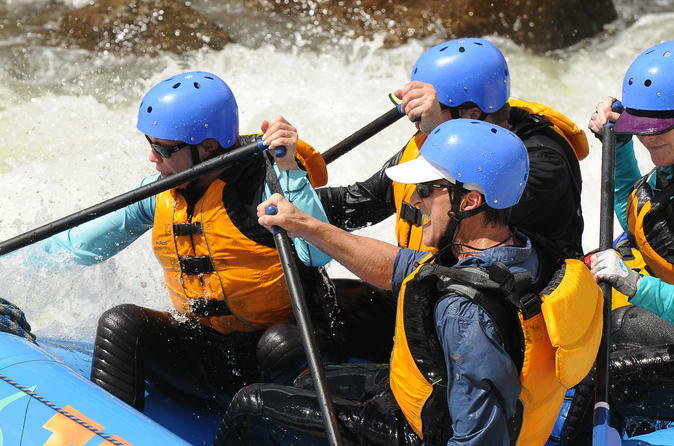 In order to enjoy this Royal Gorge adventure, you must have prior paddle experience. Test your endurance and paddle experience with whitewater adventure in the high country with big splashes and fast rapids. 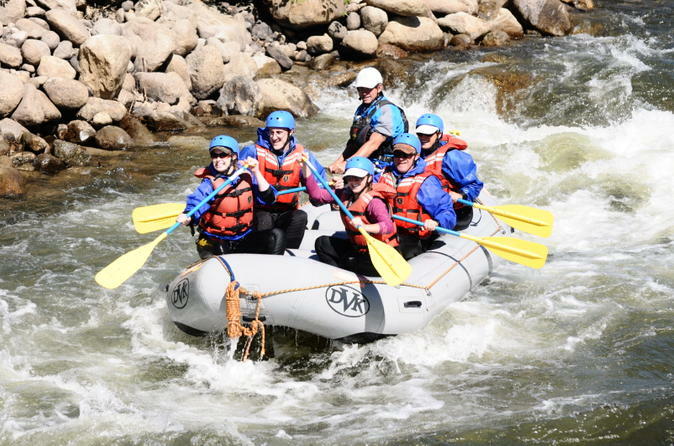 On this 4-hour trip, you'll run the Numbers 1-10 rapids, an incredibly fun section with pine forest lining the river banks and the Collegiate Peaks towering over 14,000 feet above the river corridor. Highly experienced guides touting the highest credentials will lead you along this exciting trip. 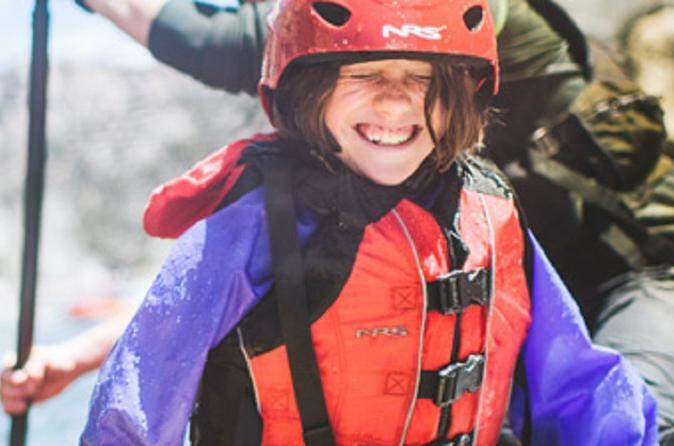 Put your whitewater skills to the test with this exhilarating and challenging class IV section of the Arkansas River! Prior experience is required on this full-day adventure. 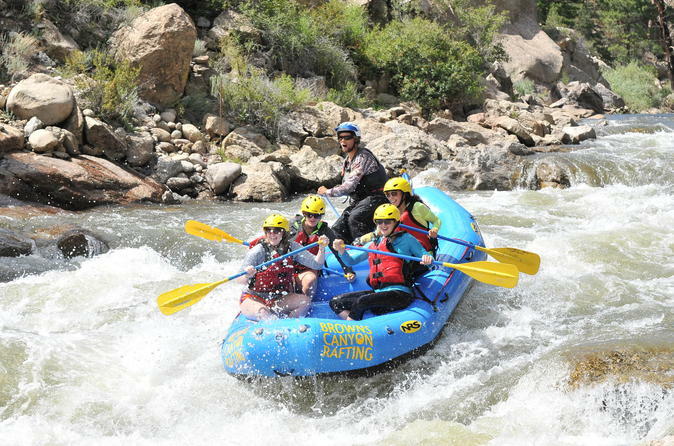 Brown’s Canyon rafting trips contain the perfect combination of Colorado scenery and adventure and are great for the whole family. If you are considering Rafting in Colorado, Brown’s Canyon is a must! This section is filled with plenty of fun and exciting rapids and is sure to put a smile on everyone’s face! Enjoy 2 days and 36 miles of whitewater rafting through Colorado's newest National Monument: Browns Canyon! This trip includes an overnight camping experience on the banks of the Arkansas River while guides prepare delicious meals and help set up camp. 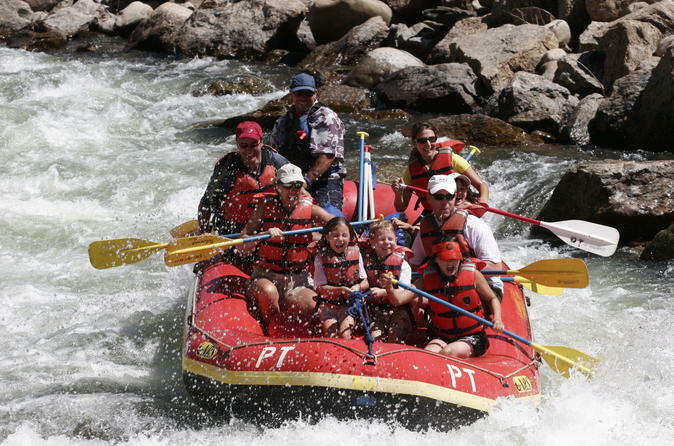 The whitewater is class III-IV, making it a great itinerary for families and small groups. 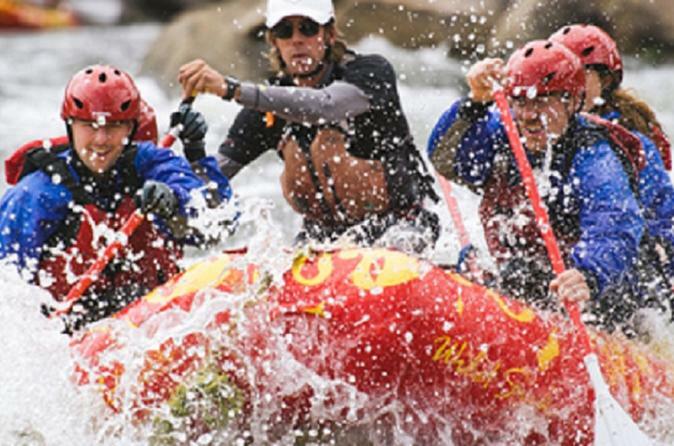 The Numbers rafting is the ultimate Colorado rafting adventure! 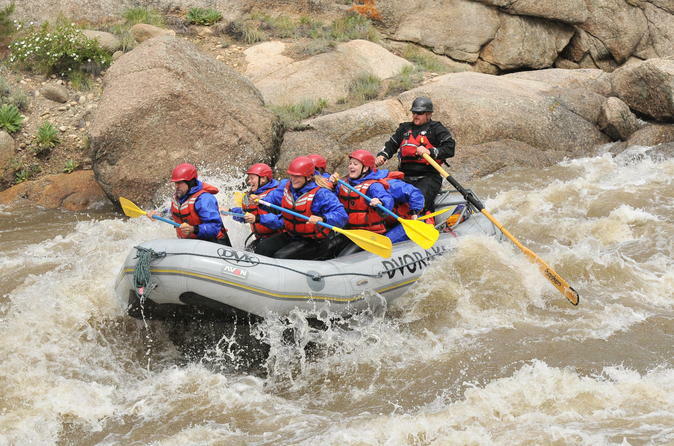 Experience the non-stop thrills and excitement of rafting in Colorado at the headwaters of the Arkansas River. You’ll navigate through tight passages, steep drops, and continuous action on this incredible Colorado river rafting trip. 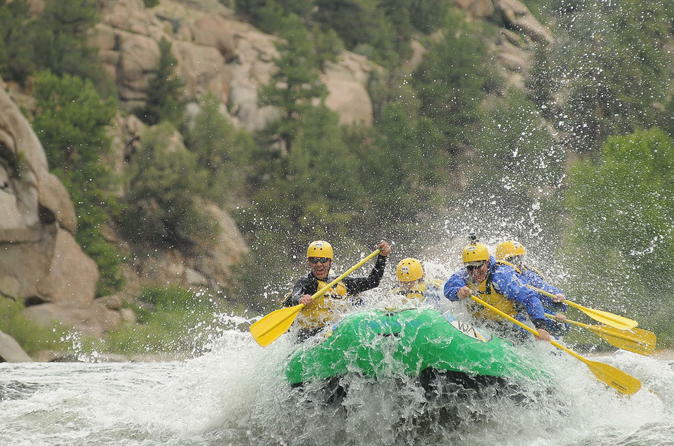 Enjoy the experience of a lifetime with family friendly Colorado rafting through Browns Canyon National Monument on the Arkansas River. 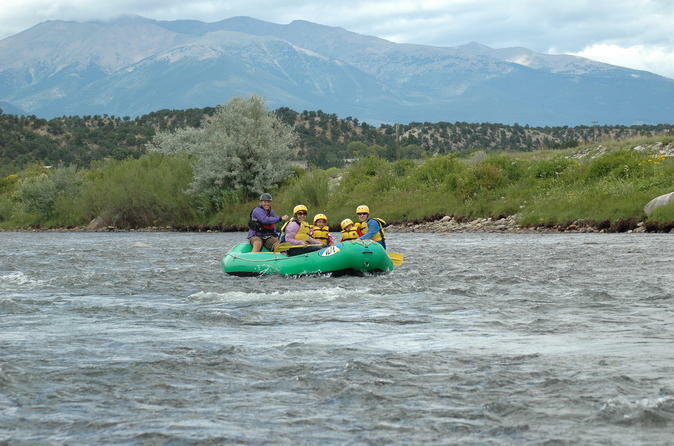 Exciting class III-IV rapids intermixed with calm water in between make Browns Canyon rafting great for beginners and experts alike. This stretch of river makes for a great introduction to rafting. You can expect impressive mountain views, some easy splashes and a lot of soul-soothing current. Don’t bother hiring a babysitter for this gentle float, as this trip is appropriate for children as young as two years old. This is an expert level half day trip, level V section of the Arkansas River. 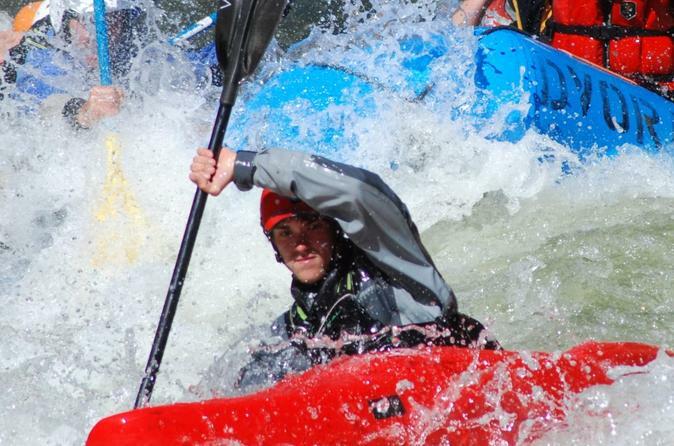 This trip contains the most challenging whitewater on the Arkansas River. Narrow, fast, and technical, the river drops nearly 200 feet over its steepest mile! 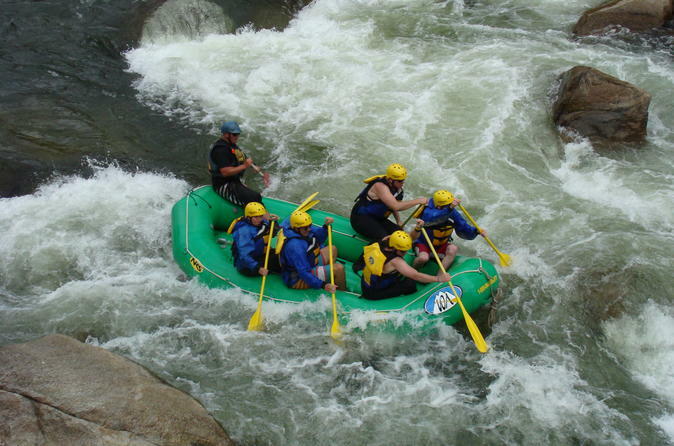 Previous rafting experience is highly recommended and good physical condition is required. Afterward you will finish your trip with a fajita feast hot lunch. Whitewater raft through Browns Canyon National Monument on the Arkansas River in Colorado! This section is perfect for beginner and experienced boaters alike, ages 7 and up. 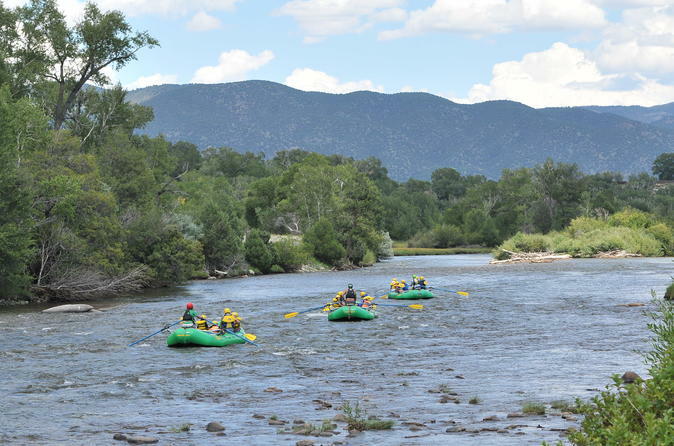 Bring the whole family and experience over 12 class III rapids on our 1/2 day trip, surrounded by breathtaking views of Browns Canyon National Monument. Browns Canyon is the most popular rafting destination in the country, and once you experience it you will know why it is so popular. Enjoy great whitewater, beautiful scenery and unforgettable memories! Experience 3 hours of clear, crisp water crashing through the Granite Gorge. This half-day adventure is led by a local guide and all boating equipment such as rain gear, drinking water and personal flotation device is included. Experience the Numbers, a challenging, fast-paced technical section of the Arkansas River. Professional and knowledgeable guides will take you though one of the most exhilarating sections the Ark has to offer. This full-day, Class IV rafting trip includes a deli style lunch on the banks of the river. 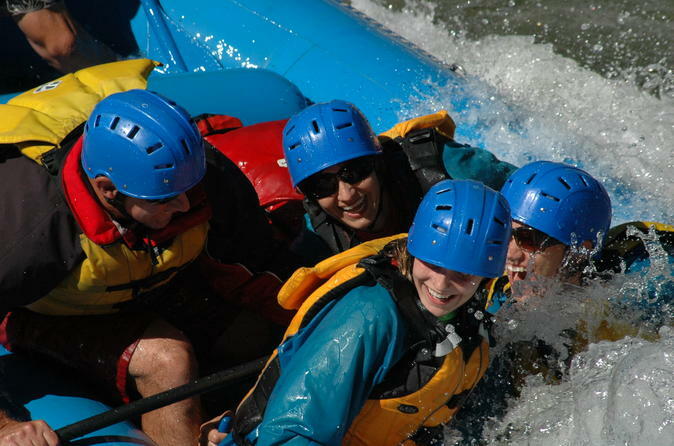 Colorado's most popular whitewater rafting trip. Exciting moderate level whitewater through Brown's Canyon National Monument. Spectacular scenery and lots of thrills and memories for a lifetime. Experience a family-friendly, class II section of the Arkansas River on a half-day or full-day rafting adventure! This is the perfect section for beginners of all ages. Our courses are built into the natural features of our alpine properties, such as cliffs, old-growth pine trees and ravines. 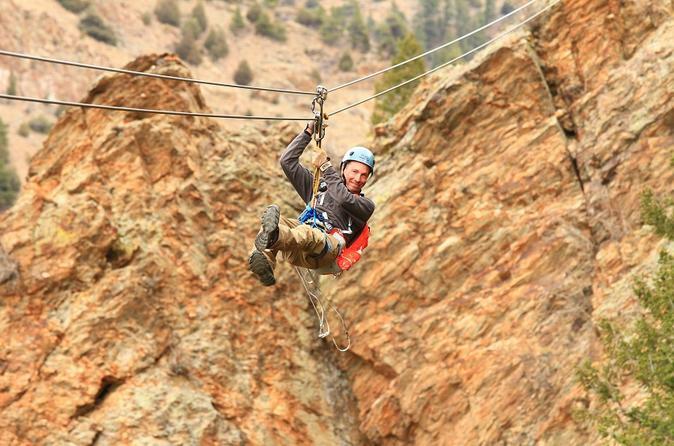 Each course is set on undeveloped land with stunning mountain views and is a true Colorado aerial adventure! 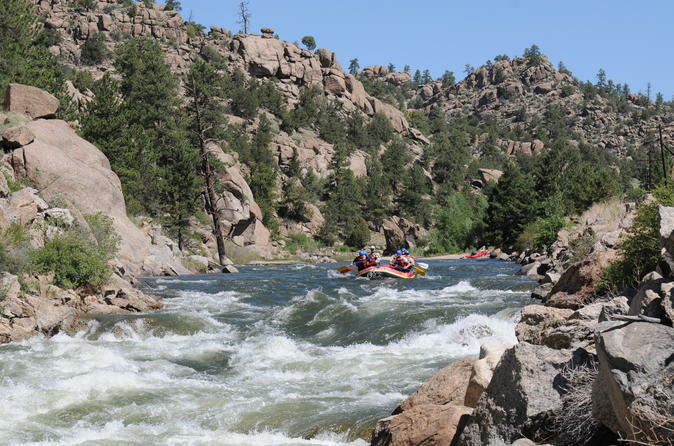 Browns Canyon on the Arkansas River is our most popular trip! 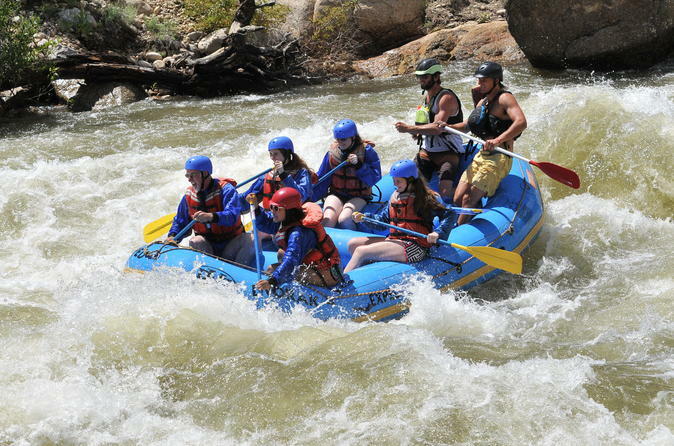 The unique combination of lots of exciting whitewater, spectacular canyon scenery, great mountain views of some of Colorado’s highest mountains and opportunities to spot wildlife make this the ideal raft trip. Exciting enough for seasoned paddlers, but not too scary for first-timers. You will want to bring your friends and family for epic rapids such as Pinball, Zoom Flume, and Big Drop! This trip includes our Ultimate Fajita Feast hot lunch!